Finally, you can manage the human resources process in one simple solution. From recruiting to comprehensive benefit management to Employee Self-Service, CYMA's Human Resources Software Solution offers complete human resources and payroll employee management. 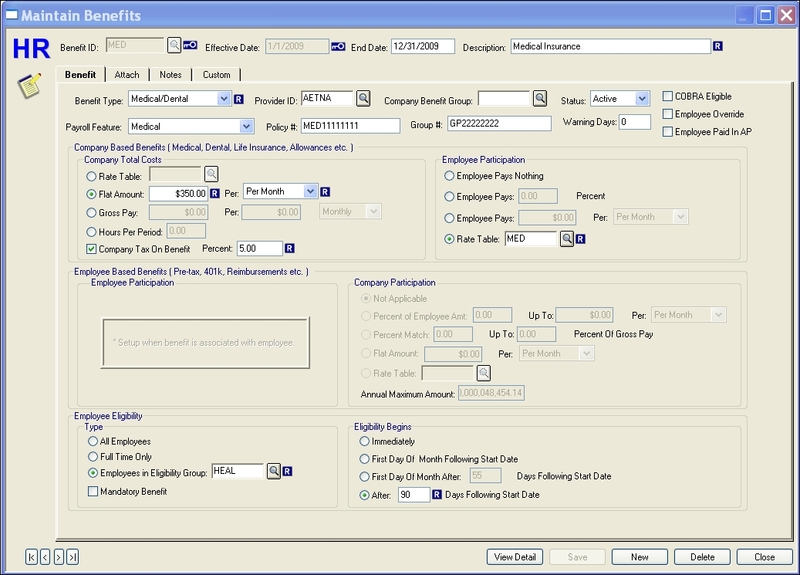 Control the costs and complexities of employee benefits management across customized, managed employee groups in a visually intuitive & flexible way. Empower managers to keep track of employee performance with detailed and scheduled performance reviews, rate increases, disciplinary action notices, and more. Encourage employee knowledge and growth! Are your employees up to date with their training and certifications? Know for sure, with Certification Management and Tracking System. HR Position Management and Position Classes Management tracks all key employee information by Position or Position Groups for reporting, HR queries, job requirements & pay ranges. Track and report costs in unique & accessible means. HRexPRess offers presentation quality reporting in a universal, sharable format – Microsoft Excel. Pull HR, Payroll and other accounting information into Excel spreadsheets for reports that will impress and enlighten. Keep everyone happy! - Save time, questions and confusion when employees are empowered with Employee Self-Service. Employers benefit by reducing costs and employees will enjoy timely access to Payroll, tax and benefit information. Sign up for a demonstration today!.